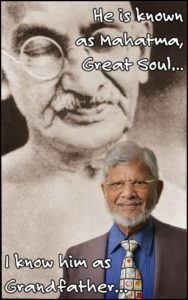 For over a decade, the Center has worked closely with Dr. Arun Gandhi to promote educational experiences for students related to Gandhian nonviolence. 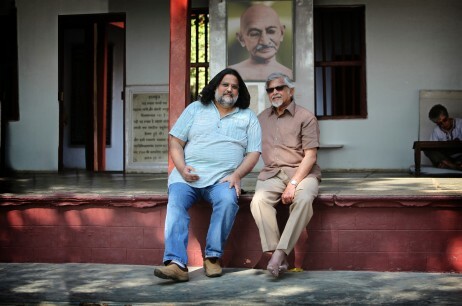 Each year several SU students join Dr. Gandhi and his son Tushar for a two week long tour of sites and institutes related to the life and work of M.K. 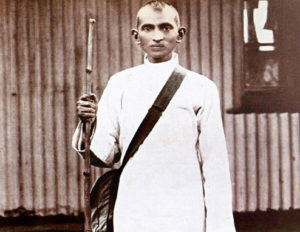 Gandhi in India. For more information on these annual tours and how to get involved see the link below. 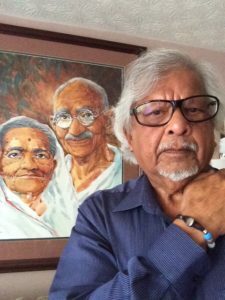 Born 1934 in Durban South Africa, Arun Gandhi spent his adult life in India working as a journalist and promoting social and economic changes for the poor and the oppressed. Arun, and wife Sunanda, rescued several hundred orphaned children from the streets, and began a Center for Social Change. Thus were transformed the lives of thousands of impoverished villagers in the western state of Maharashtra. In 1987 Sunanda and Arun came to the US and in 1991 started the M. K. Gandhi Institute for Nonviolence at the Christian Brothers University in Memphis Tennessee. In 2008 the Institute was moved to the University of Rochester, New York. In the 17 years of the Institute’s life the Gandhi’s took the message of nonviolence and peace to hundreds of thousands of high school and University youth around the US and much of the Western World. Publications: The Legacy of Love; Forgotten Woman – the Life of Kastur, wife of Gandhi, and several others. Tushar A. Gandhi – Born January 17,1960. In 1996 Tushar was appointed President of the Lok Seva Trust, a voluntary organization working with factory workers and the economically weaker sections of Mumbai, in the field of education, legal aid, and healthcare. He established the Mahatma Gandhi Foundation to make Gandhi’s message available globally on the Internet. In 1998 Tushar stood unsuccessfully for elections to the Lok Sabha (lower house of Parliament). In 2001, he was appointed president of Internet Users Community of India, Mumbai Chapter. Tushar was also invited to join the Advisory Committee on Cyber Crime to the Mumbai Police Cyber Crime Cell. He was appointed to a subcommittee of the Gandhi Smriti and Darshan Samiti [National Museum] by the Prime Minister of India. Tushar is involved with the US based peace organization ‘Seeds for Peace’ which works with children. In August 2001 he was invited by an NGO “Peace Initiatives”, to join a group of journalists and social activists to visit strife torn Kashmir, to interact with the leaders of the separatist ‘Hurriyat Conference’, the police and the Chief Minister of J&K with the aim to explore the possibility of achieving peace through development and economic programs. Publications: Let’s Kill Gandhi: A definitive study of the Hindu Fundamentalist plot to assassinate Gandhi. In 2005 to mark the 75th Anniversary of the 1930 Salt March Tushar organized a 241-mile walk for Peace, Justice and Freedom. 600 marchers from India, Pakistan, the US, UK and other parts of the world participated. The Mahatma Gandhi Foundation was awarded in April, 2005, the 1st ‘Mahatma Mahaveer Award’ for promoting the ideals of Gandhi.